There are many advanced methods of recycling the plastic, such as making plastic granules machine from plastic waste. However, the plastic to oil machine for sale can help you get plastic pyrolysis oil, carbon black and combustible gas. As a professional plastic recycling machinery supplier, we can provide you with different models machine, which varies in operating method and capacity. The BLJ-6 and BLJ-10 are batch operating, and the BLJ-16 is semi-continuous. The BLL-20 is fully continuous, and this series of plants are increasingly popular because of the high degree of automation. Here are more parameters for your reference. It adopts the latest pyrolysis technology, which can help you recycle plastic waste without harming the environment. In addition, and the invention of plastic pyrolysis plants accords with the environmental protection policy, so investing this machine will benefit you in the future. The plastic to oil machine for sale can process the plastic waste into fuel oil, carbon black and combustible gas. The plastic pyrolysis oil can be used as fuel, so it can ease the energy crisis to some degree. Moreover, you can also refine it into diesel with our plastic to diesel machine. The pyrolysis carbon black is also vendible in the market. 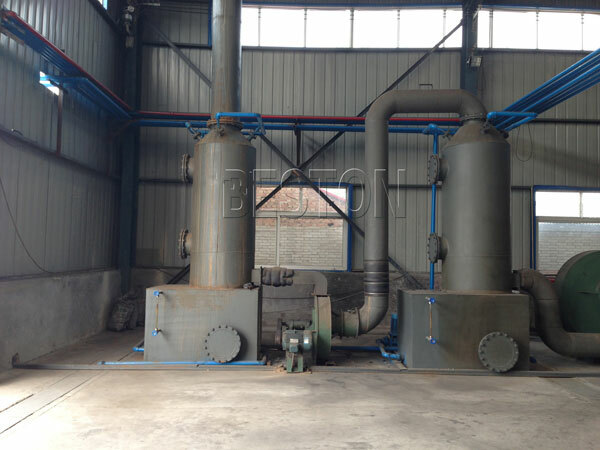 If you want to increase its quality, we can also provide you with the carbon black processing plant. As for the combustible gas produced in the plastic to oil process, it can replace the heating material when its amount is large and steady enough. Oil yield rate is an important factor to influence the quality of the plastic recycling machinery for sale. In this aspect, our plant has a lot of competitive power. The new heating system can prolong the service life of the reactor. The de-dusting system ensures that the emission of the plant can reach the environmental protection standard. 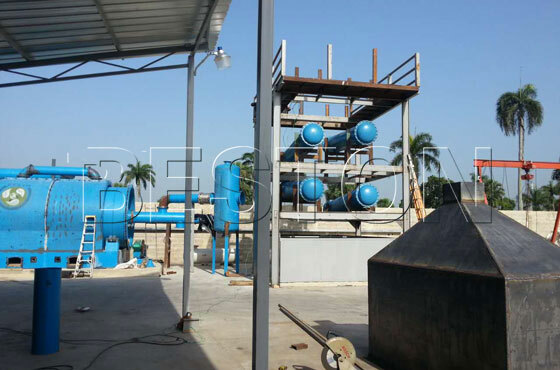 Our plastic to pyrolysis oil plant for sale is worth investing. If you have an interest in it, send your inquiry by filling in the following chart.